Hanford gives the girls plenty of time and space to play. We provide entertainment in the form of trips, activities and films but we very much encourage them to entertain themselves. They quickly learn to play their own games without the need for adult encouragement or direction, although benign supervision is constant. 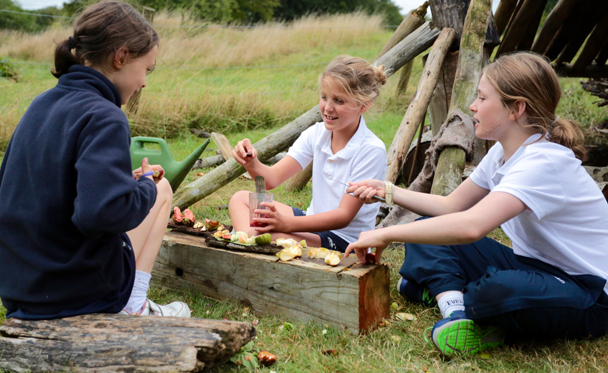 The grounds have endless potential for play and the only limits are the girls’ imagination. 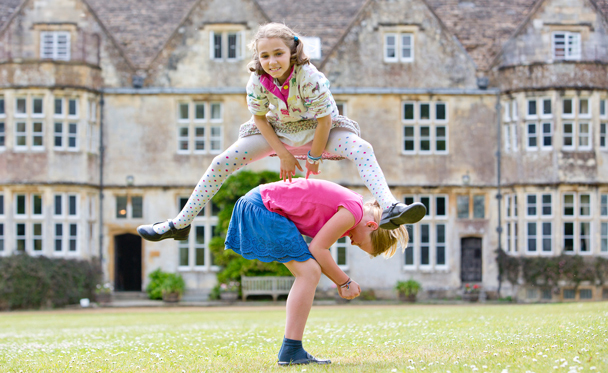 Afternoons are arranged so that each child will have at least one period when she may tree-climb or play with her friends – on the playground, on the lawns, or in special areas set aside for them: Tumbledown jumps for the juniors, Chestnut village for the fifth forms. Up by Chestnut there is a playground which has been set up in memory of Lucker, a matron who worked here for a very long time. This playground is for everyone to play in, and there are three swings and a bar which you can do roly-polys around. Just as with any child at home the weekend is a time for them to relax, play and become lost in their own thoughts. The weekends are an important time for extended play and for the development of their imagination. Some children may be involved in matches while others may ride, look after the chickens, swim, climb trees, walk in the hills or play music. Others may get together and organise clubs which are entirely voluntary and are for their own diversion and amusement. Hanford also organises specific weekend activities, for example trips to Splashdown, the cinema or Christmas markets, whole school BBQ, the Hanford Hullabaloo, Big Prize Bingo and pizza making with the Big Bang Pizza Company. Tree climbing is always supervised by staff and the older girls show the new ones the appropriate route up the tree.